Are you at Birdfair this weekend? Of course not! If you were in England at the world’s biggest birding fair, you wouldn’t have time to read this post. I’ve never been to the British Birdwatching Fair but hope one day to attend. Have you been or do you hope to? I’m not in the UK this weekend nor am I anywhere other than home. Time to catch up on what I’ve missed during this busy summer. Corey, on the other hand, is far from home and will be birding in Germany this weekend. How about you? Where will you be this weekend and will you be birding? Share your plans in the comments below. Keep your eyes to the skies. 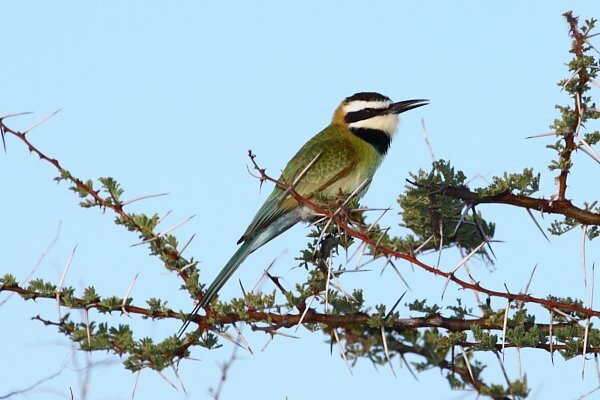 Maybe you’ll get lucky and see a bee-eater. Where Are You Birding This Final Weekend of January 2011?